A childcare agency is a means of introducing parents to childcare providers. Typically, childcarers operate on a freelance or self-employed basis, and as such it can be hard for parents looking to find the childcare they need, when they need it, all from one source. It can seem bewildering trying to find the childcare you need, and a Childcare Agency is there to make the process a One-Stop-Shop. Childcare Agencies and Babysitting Agencies bridge the gap between childcare professionals and parents. Parents are able to book childcare professionals, or babysitters, available in their area, that fit their needs. For parents searching for babysitters, this is particularly important. You may not be ‘at home’, or need childcare in the standard Monday-Friday 8am-6pm format, but instead visiting elsewhere, or needing childcare in a hotel or other visitor accommodation, potentially with unusual hours. 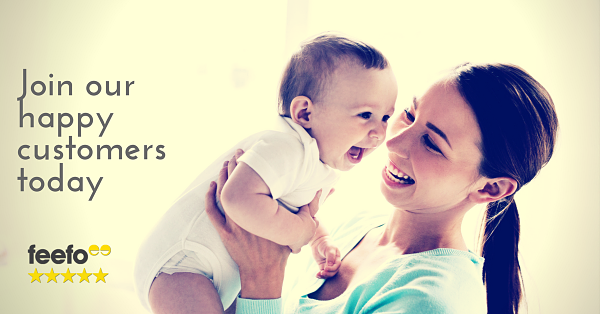 Sitters offers a Childcare Agency Service focusing on your babysitting needs. Whether you work shifts and need reliable access to childcare at unusual times of day, are working from a hotel with the family in tow, or simply want a night out, our Babysitting Agency Service will meet your childcare needs. With Sitters you get pre-checked childcare professionals and babysitters who will look after your children in the security of your own home, or the premises where you are staying. We offer a professional, friendly and trustworthy service at the appropriate remuneration for your area, and for the time of day. We are the solution you need when your work involves Saturdays, Sundays, or evenings, or you simply feel happier giving your children care in their own home. Childcare is an exceptionally broad term. However, in its usual format it is very limiting for the vast majority of parents. You may only need childcare on an ad hoc basis when shift patterns mean neither you nor your partner are home to provide care yourselves. You may need emergency cover when the nursery is closed on bank holidays. You may find yourself in need of help at the weekend when your nanny has her time off. These are the times you need a babysitting agency. By using Sitters you can access all of the available local babysitters in your area, wherever in the UK that might be, and select the best fit for your family, knowing you are getting someone reliable, experienced, and ready to provide the childcare you need. Typically, childcare agencies are an expensive way of sourcing childcare, even though they make the process easier. You may find yourself paying a percentage of an annual wage for a nanny, for example. Sitters however, believe in offering an affordable Babysitting Agency service. You pay a low cost quarterly membership fee of just £14.95, with a £4 booking fee (£6 for daycare, for last minute bookings and for bookings away from your usual home address) to cover the administration of each booking. Beyond this, you simply pay the going rate for your babysitter, directly to them.